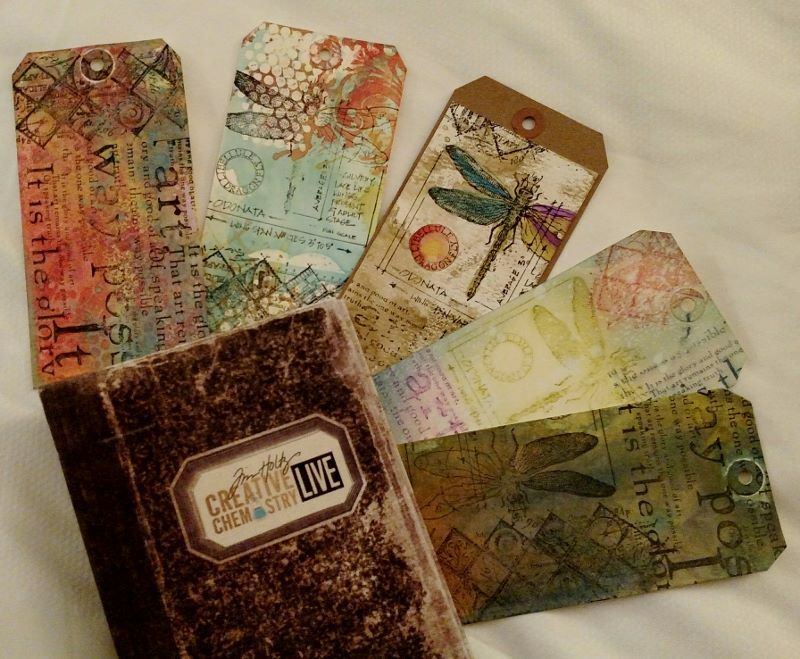 Here are two tags using a technique taught by Tim Holtz in a class I attended in April. This is the 3rd technique he taught that day using his new Oxide Inks & it's so fun. I can see myself using this technique over & over. Here is the #8 Kraft Tag we did in Tim's class. The images from Stampers Anonymous Classics #1, Classics #3 & Classics #4 sets were stamped with Jet Black Archival Ink on Ranger's Distress Watercolor Paper. 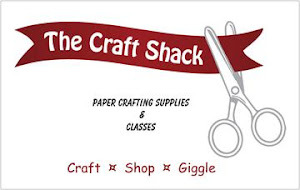 We smooshed Frayed Burlap Distress Ink onto a craft sheet & spritz it with water then tapped the watercolor paper into the ink. This step was repeated a few times, drying in between layers. Then we smooshed several colors of Oxide Inks (I used Spiced Marmalade, Fired Brick, Peeled Paint, Wilted Violet & Broken China) on our craft sheet. Using a Detailer Water Brush we picked up color & brushed it on the image, drying between layers. I usually use #10 tags but when I made this one I didn't have any kraft tags so I made my own with cardstock from one of Tim's 12X12 paper packs. Then using the technique Tim taught us, I stamped on watercolor paper using Stampers Anonymous Classics #3 & #4, Flower Garden, Mixed Media & Flutter with Archival Jet Black Ink. To stamp multiple flowers, I did make a few masks by stamping the flower & cutting them out. Then I used Frayed Burlap Distress Ink on the background. 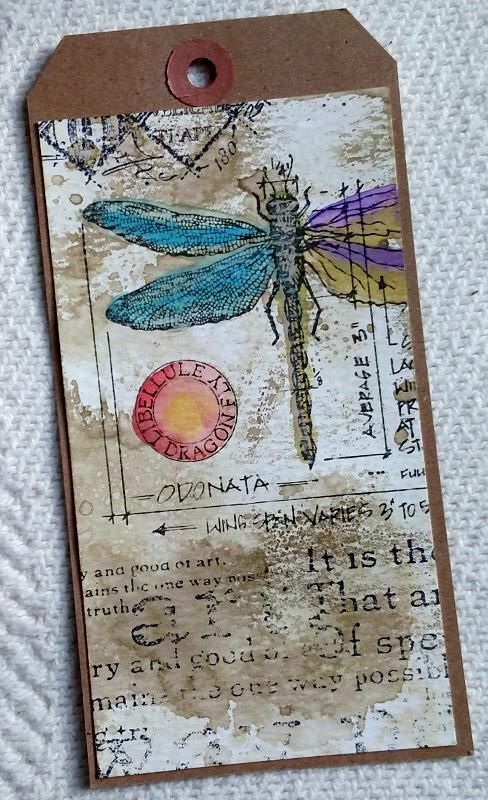 The images are colored with Oxide Inks (Seedless Preserves, Walnut Stain, Peeled Paint, Broken China & Spiced Marmalade) using a watercolor brush. 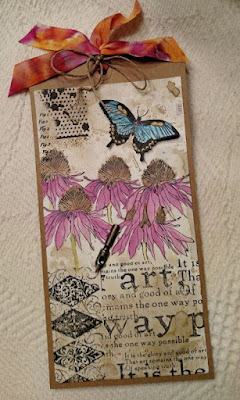 For a little dimension, I stamped another butterfly on a scrap of watercolor paper, colored it then die cut the image & attached it over the image on the CS using Glossy Accents. 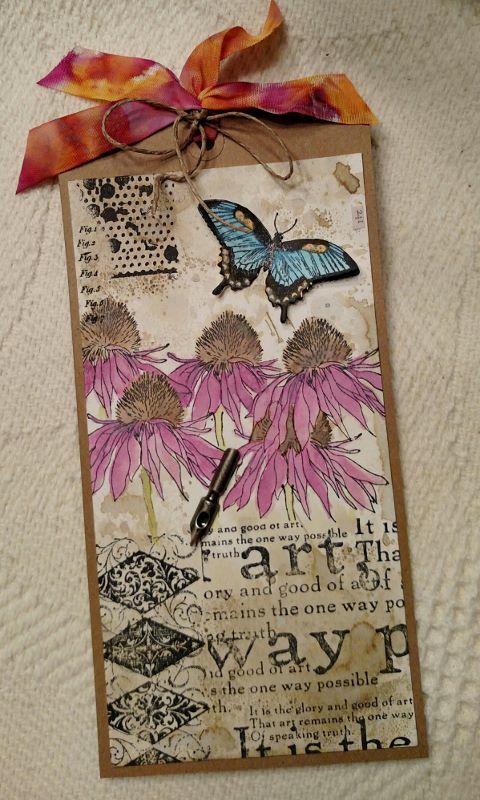 I added other embellishments - Idea-ology Pen Nib, Botanical Remnant Rubs, Clippings Stickers, Crinkle ribbon & a piece of twine. We were given a label with the technique instructions to put on the back of the tag & Tim's Idea-ology Worn Binder Notebook with a set of Page Pockets to store these technique tags in. He's so generous in his classes! Hope you give it a try & TFL!